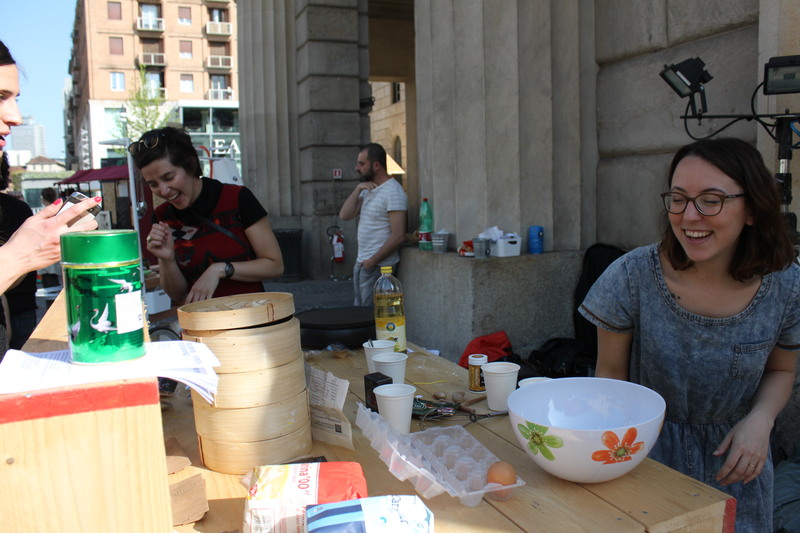 I was cooking on Q-Cina with my friends Momang: they have been selected by Esterni to participate to Public Design Festival during the super cool Design Week 2014. 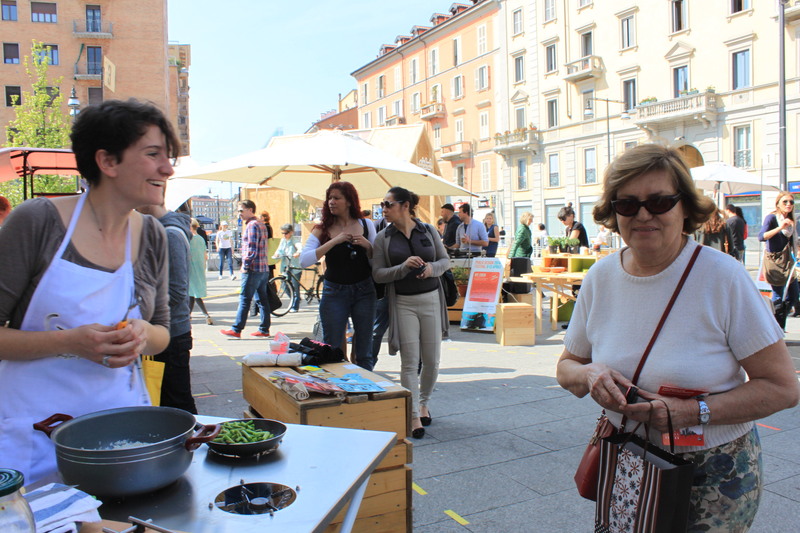 In Piazza XXV Aprile, I had the chance to meet really wonderful people, mostly designers and foodlovers. Here is a short review of the most interesting ones. 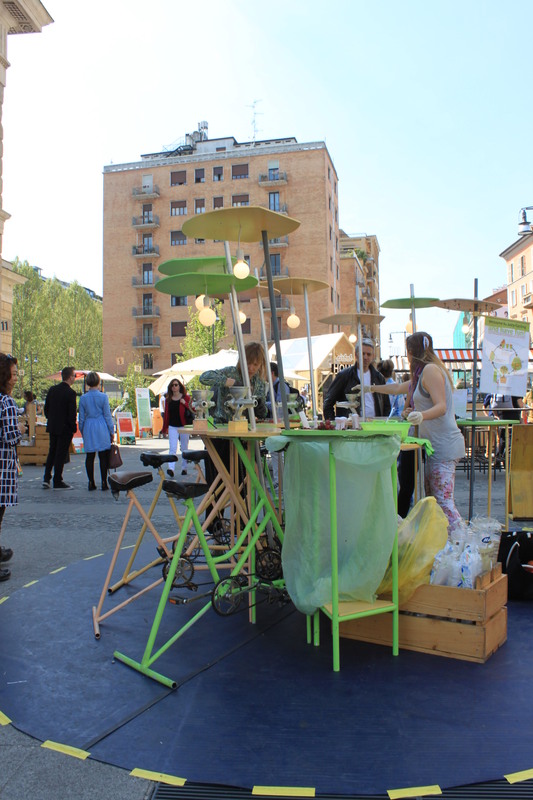 Mezzo Mercato by Mezzo Atelier (Italy – Portugal)is a funny modular assembly of outdoor stalls. 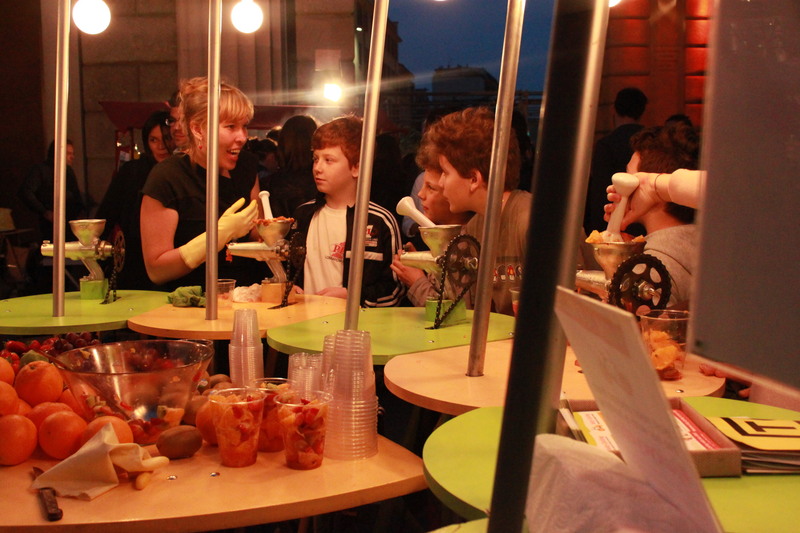 Selling, preparing and eating food are just some of the possible way to enjoy these iconic handmade furniture! Versatility and functionality rule here! Everyone dreamt at least once to meet a mobile fire to warm up the freaking cold nights. These two french designers made it real! 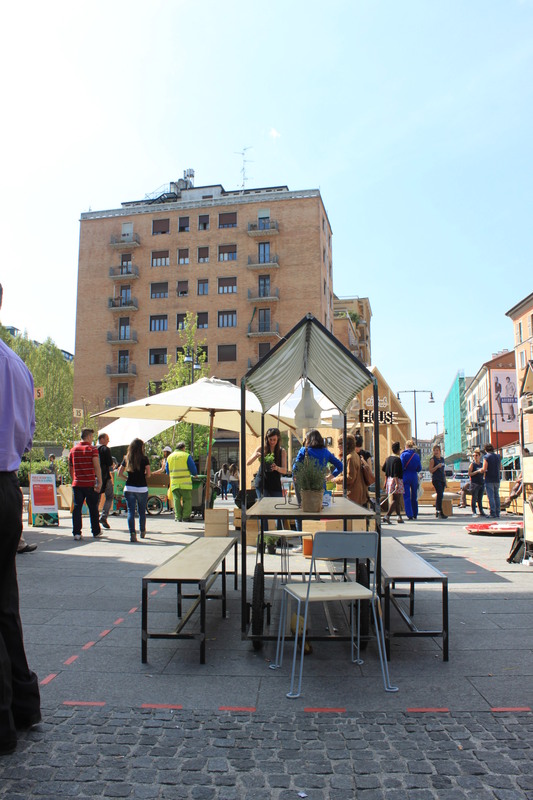 A huge umbrella covers a big table: the fireplace is easy to turn on and off, everything can be folded into a wooden box, movable by a normal bycicle. just let me mention one of the most amazing pavillon I have ever seen! “Light is Time” by Citizen in Triennale left me totally breathless. 03 Mag	Questa voce è stata scritta da StesaConDitaInForno e pubblicata il maggio 3, 2014 su 5:03 pm. È archiviata in Dal cucchiaio alla città, English posts! 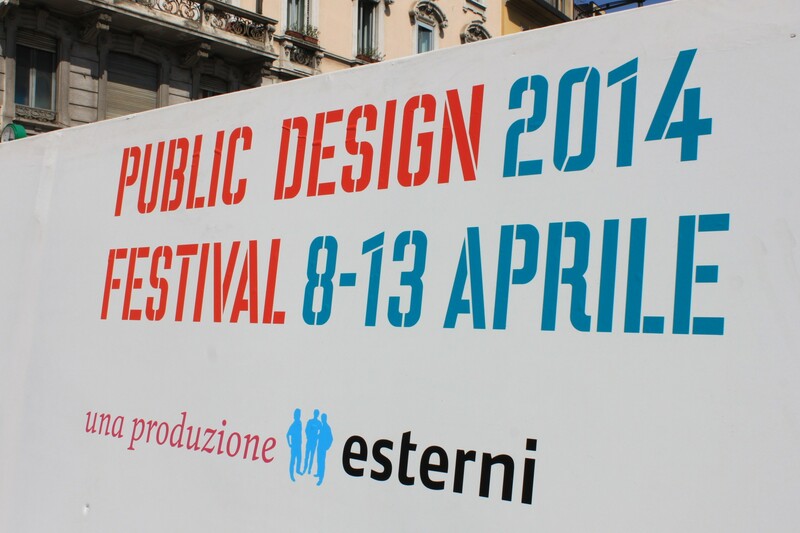 con tag 2014, cheminambule, contemporary prophecies, esterni, food, fuorisalone, juicy cycling, milan design week, milano, public design festival. Aggiungi il permalink ai segnalibri. Segui tutti i commenti qui con il feed RSS di questo articolo. Più vecchio: about 200 times thanks, a trip to Milano and the spring coming! !